Three Bridges side by side caught me in their net. 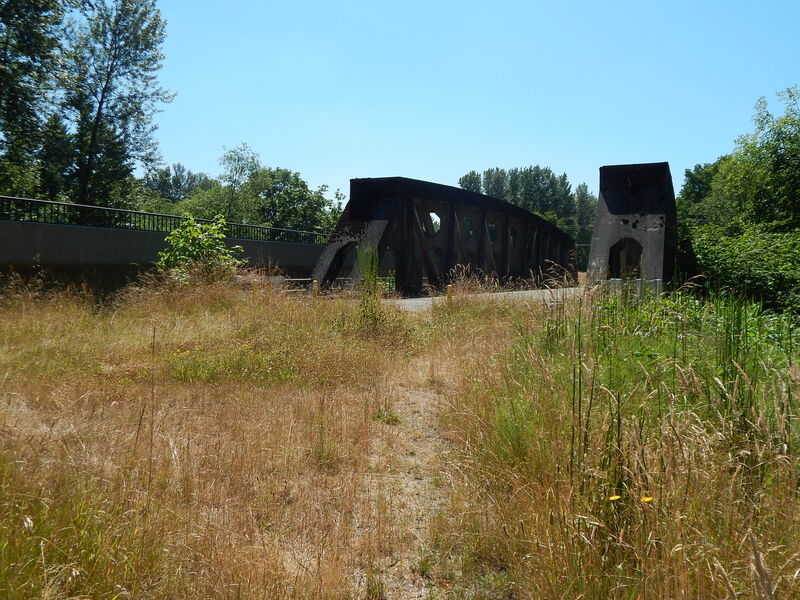 While I was up near Orting on Hwy 162 this weekend and as I neared the Puyallup River close to McMillin I saw these dynamically visual three bridges side by side. The highway is now on a brand new bridge dedicated in September of 2015. 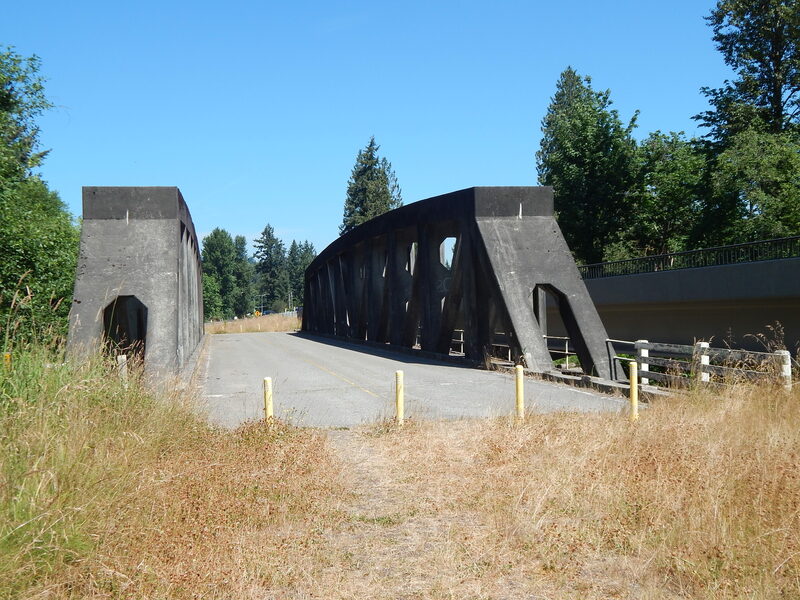 It is pretty bland but the two old bridges right next to it are intriguing. It is the middle bridge that stopped me to take a few pictures. It is this fabulous example of cement art. Art Deco comes to mind when I want to describe it. 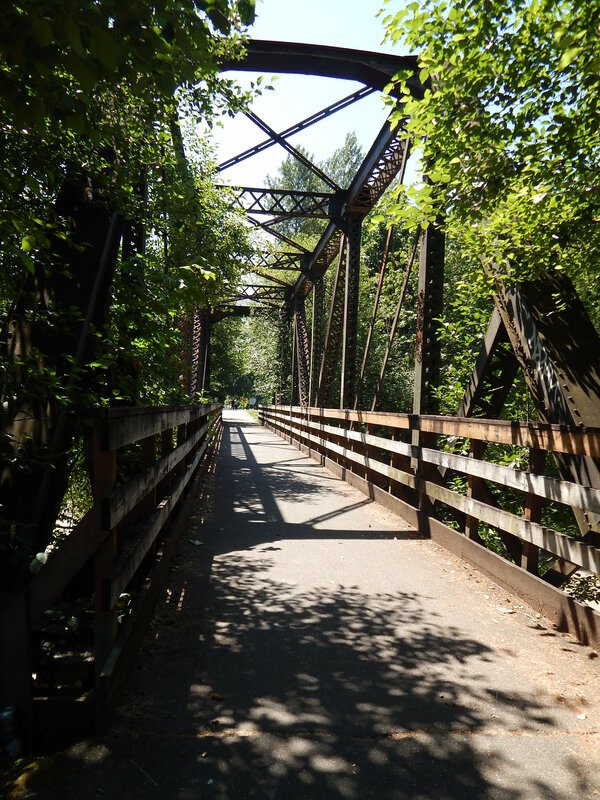 This is a rare example of a reinforced-concrete through truss bridge. The form of its members and details are unique. 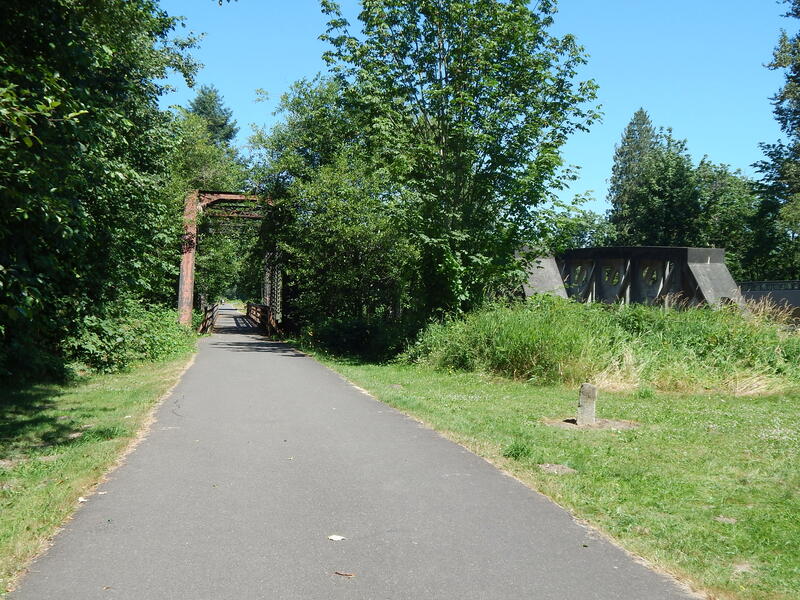 At the time of its construction it was thought to be the longest concrete truss or beam span in the country. 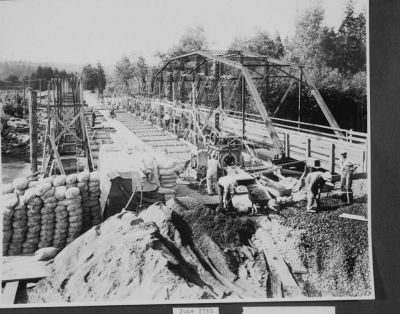 How about a picture from the 1930s showing it being built? It was so narrow in today’s world that it was a hazard for all passing over it and hence the replacement. The state had a problem though. Since it was a registered historic place they could not just tear it down. That is why we have side by side bridges now. In this last picture above imagine how you would feel in a car passing a huge semi? It is really narrow built for a different time in automobile and trucking. Add to it a third bridge that was from the old railroad built to move coal from Wilkerson back in 1877. 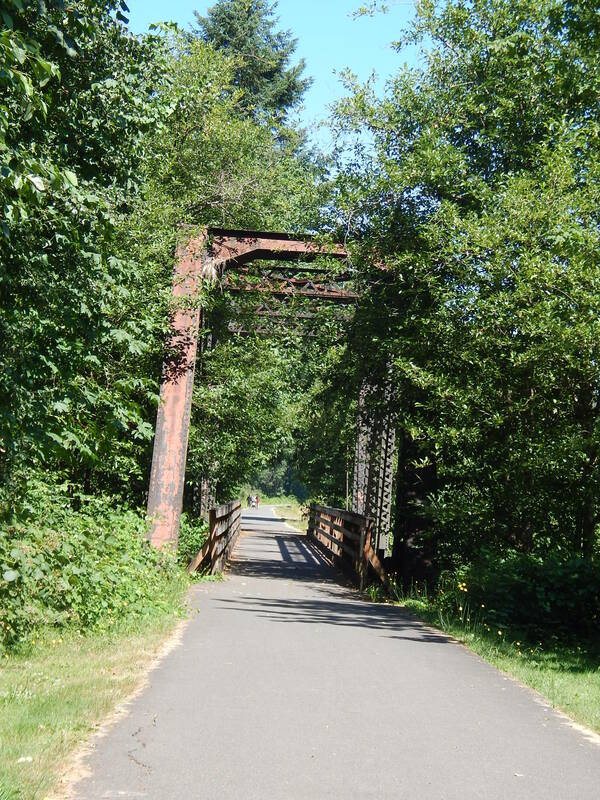 I am not sure if this bridge is the original but it is pretty narrow and is now used by a bike and pedestrian trail. A little serendipity got me to this cool place. When I left the first estate sale and headed to the next one I turned right instead of left. If I had followed my original plan this adventure of three bridges would never have happened. Lesson to all of us that life has a way of showing us what it wants. Got to roll with it and enjoy the ride. Something cheering about seeing weeds growing on the emphatically utilitarian steel bridge, too. Loved this, in a surprising way – normally industrial archeology does little for me. But this is really interesting. I have found bridges just sing to me. Hence I had to stop. Kind of like when I was under I-5 bridge over the Duwamish River. There was an energy and vertigo from the sound and energy. They are all different if you get out of the car and check it out.